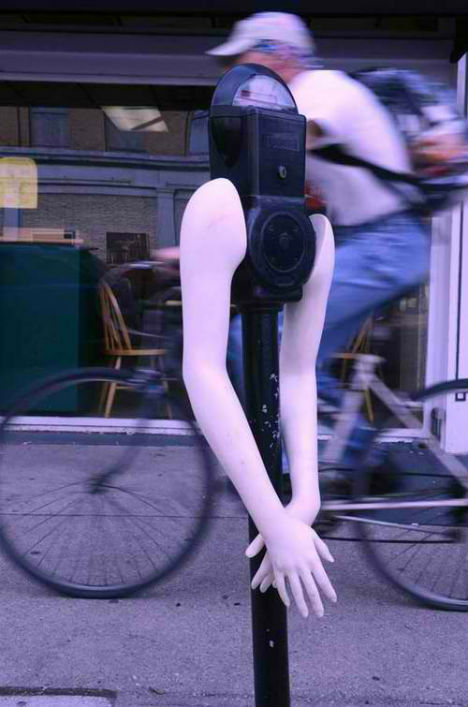 Whether they’re just the arms of a mannequin attached to inanimate urban objects or gory, all-too-realistic hands clutching violent video games, severed limbs are definitely one way to grab the attention of passersby on the street. 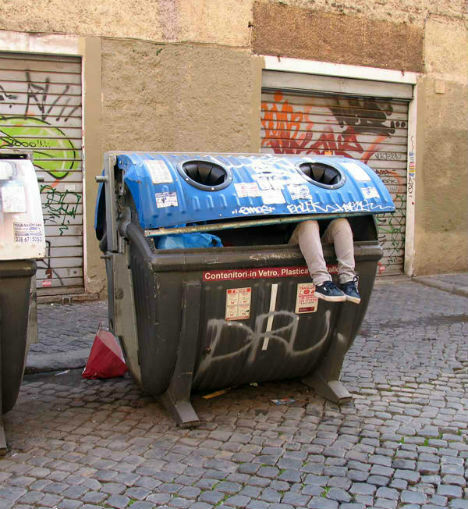 Detached body parts appear in street art in ways that are both humorous and disturbing. 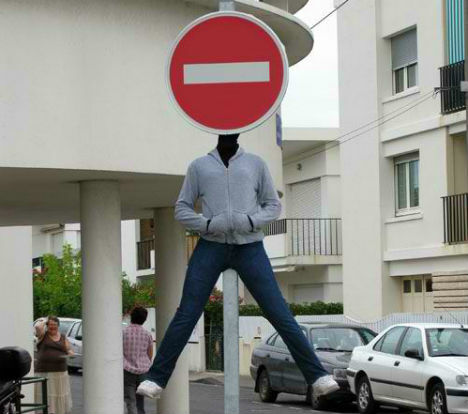 Artist Mark Jenkins is known for using heads, torsos and other body parts for jaw-dropping installations highlight the plight of the homeless or just have fun with unexpected visuals, like the mannequin with a ‘Do Not Enter’ sign for a head. These detached legs may just be the most famous in all the world. 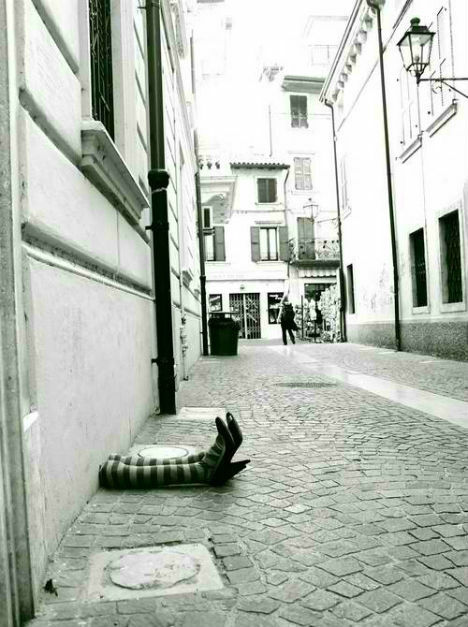 The Wicked Witch’s striped socks and red slippers were spotted on the streets of Verona, Italy in 2011. 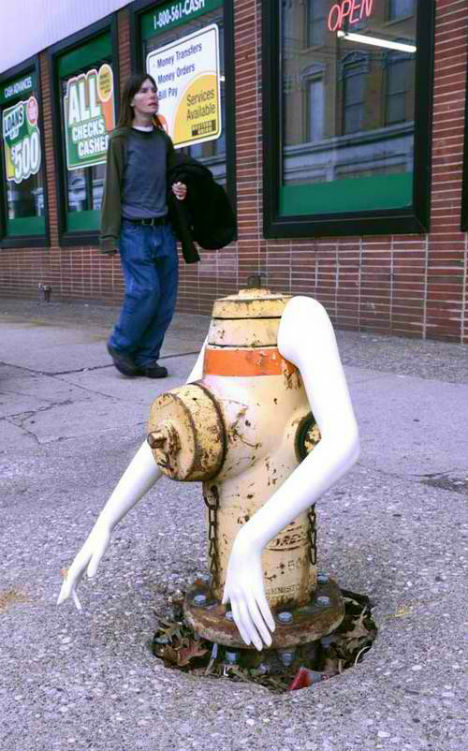 Higher Level Art temporarily installed plastic mannequin arms on fire hydrants and parking meters in Covington, Kentucky. 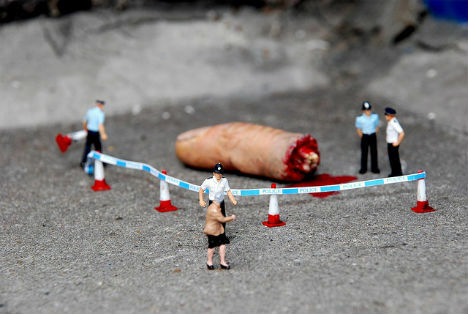 Known for his series ‘Little People‘, which installs tiny scenes in urban areas, London-based artist Slinkachu dropped what looks like the severed finger of a giant among figures that are barely an inch tall. 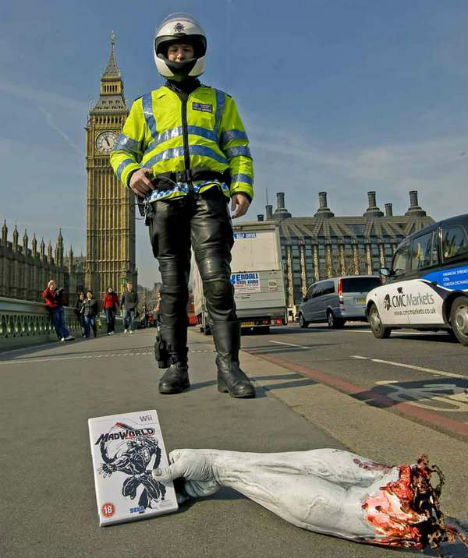 Londoners were reportedly sickened by the sight of muscular black-and-white arms clutching copies of the SEGA game ‘MadWorld’. The PR stunt might have generated some controversy, but it also got the game a lot of attention. 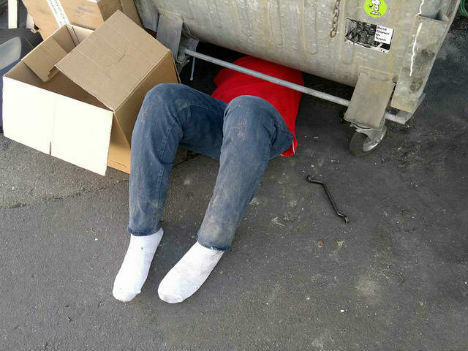 ‘Larry’s Legs: Are They Art?’ asks the Sag Harbor Express, reporting on efforts by the city’s Zoning Board to remove a sixteen-foot pair of legs from the outside of a local couple’s home. The sculpture was created by Larry Rivers in the 1960s.